On November 8, 2013, Super Typhoon Yolanda (Haiyan) struck the Phillipines, taking the lives of over 6,000 adults and countless children. Over 16 million people have ultimately been affected by this destructive force of nature. 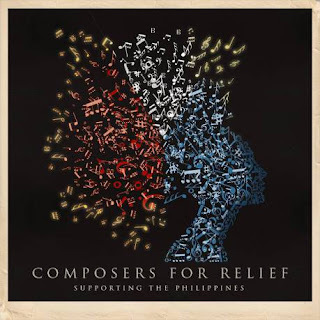 Fueled by a desire to help the victims of this disaster, 30 composers and 28 writers from around the world have come together to collaborate on an inspirational album and a companion ebook of fictional stories to raise funds for relief efforts. All profits will go entirely to Gawad Kalinga ("give care") to rebuild these many devastated lives. 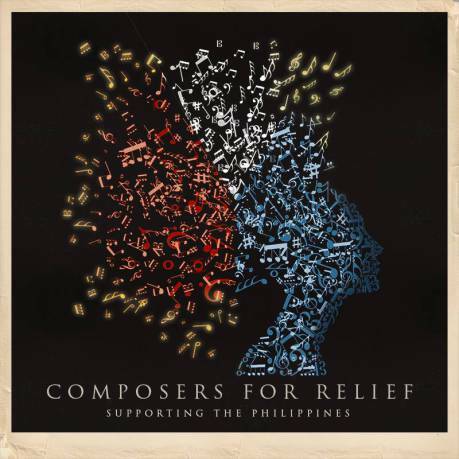 Please visit Composers for Relief: Supporting the Phillipines by Samatha Redstreak Geary for more information on both sides of this project, links to the songs and stories, and the ways in which you can get involved, as well. The following is my contribution, a short story written to the inspiration of Hendric Bünck and Pascale Scarabin's "God is With You" and entitled the same. I would like to thank Hendric and Pascale for such an uplifting, otherwordly composition of beauty and to Sam for allowing me the opportunity to be involved! “God is with you,” Grandmother used to say. I can still hear the rasp in her deep voice echoing through the decades to where I stand, alone and forgotten, on a desolate rock in the center of the universe. The last day that the old woman who was not really my grandmother whispered that phrase to me was a cold one. I remember still being young enough to warrant an outfit with sewn-in booties and gloves. My nose had lost feeling, even within the safe confines of the underground compound. All of our elderly caretakers noted that the surface winds of our world had not penetrated so deeply even in their own childhoods. I did not ask her who God was. Many of my playmates would have; some had, in fact, done so. Their grandmothers were no longer with them. I instinctively understood his importance as surely as I knew that we children weren’t supposed to know. It was a lovely secret for Grandmother and I alone. It was also the last time I would share it with her. The next day, she was gone. I did not cry. If we cried when they took our caretakers, we disappeared, too. But every evening I repeated her words in my head as I fell asleep. I can still feel the scratch of her sweater, even here amongst the brilliant stars and lifeless earth of my imprisonment. But a spirit enslaved does not dwell long on one memory. The stark recollection of that coarse material pulls me forward to the vivid chaos of my first battle. That day, I woke to my bunk mate's hand on my shoulder. “They've sounded the call – the enemy is on our position,” he said. No nervousness invaded his tone for he was a veteran already, being three months older than I. My hands shook when he handed me my rifle. We donned our breath masks and sealed our armor-reinforced hoods so that the gaseous air outside would not poison us. I don't recall much of the battle. The yellow mists of chemical-laden air obscured all but the cloudy shapes of the enemy. I fired again and again and, sometimes, a shape collapsed. The crystallized stone beneath our feet became slick with blood but still we were ordered forward. I must have taken a wrong turn at some point, become separated from my squad in that sickly haze, since my next sharp memory of that day begins when I realized I was alone. I stopped walking. My hood's speakers were quiet, too. Either my equipment was broken or the army had moved out of range. After some minutes of indecision, I trudged back the way I thought I had come. It felt like hours but might have been much shorter. The sun on that world never sets and, always, the yellow mists cling to the earth. I found the army when something crunched underfoot: the arm of one of my comrades. He lay dead, his hood punctured, the skin beneath eaten away by the gases. Other bodies slumped around me in various forms of rigor mortis. Someone behind me yelled and another man's weight dragged me to the ground. I tossed him off and glimpsed his features through his faceplate. My bunk mate. I scrambled to my feet. A shape charged out of the mists with a dagger in hand. I squeezed my trigger without aiming and missed. The man lunged for me but my bunk mate grabbed his ankles. They wrestled and the dagger disappeared. With careful aim, I shot the invader in the back. Both men went still. I found the dagger buried in my friend's belly. Already, the skin around his wound yellowed. Tears filled my eyes. As with my grandmother, I silently repeated his words every night. Others voiced the sentiment in later years: a young woman as she quieted her forbidden baby, a fellow operative in the intelligence network that undermined the enemy, and the man condemned with me when we were discovered. The death cry of a soldier cuts my memories short. My mind flows through the circuits and pathways of the machine that holds my body captive and launches across the stars to an old planet, small and unstable in its orbit. On a battlefield in the middle of a vast desert lies a man without legs. I manifest as a holographic reflection of myself and his fear-filled gaze centers on me. His bloodied hands grip an iron crucifix. He focuses on the crucifix. Slowly, he raises it to his lips, kisses it, then clasps it to his heart as the light fades from his eyes. Other soldiers lay wounded or dying and I go to them, as well. I am condemned by our enemies to an eternity of imprisoned immortality for my past efforts against them. What they do not yet realize is that, through me, they have given new life to all who hear my words echo through the wide universe. If you enjoyed this story, please help spread the word about this amazing project by sharing with one of the two buttons below or through your own preferred network. Thank you! Through this beautiful collaboration you "have given new life to all who hear (read) my (your) words (and these words will) echo through the wide universe. 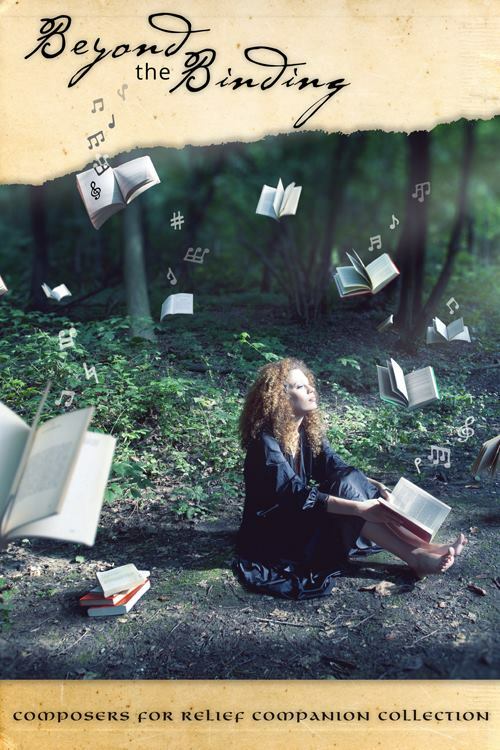 The music moves with a heaviness that your words match...both beautiful and expressive. A surreal feel to this piece that leaves me wanting more! The tone and pace of this wonderful, evocative tale perfectly matches the track. Good stuff! A haunting tale of hope that spans the universe. You've expressed the message that lingers in the music beautifully. The enemy can never conquer, for people are rarely truly beaten. They find ways to continue. Lovely. You captivated me from start to finish. Fantastic story and so well written! This is an amazing idea. I am glad authors and artists have found a way to take part in helping those in need. I love visitors and I love comments! Please, leave one or many (visitors or comments, it's all good). Just remember to play nice with others. Also, don't spam. I'll have to dump you in the trash compactor if you do. And then the dianoga will eat you. Ask yourself: is it worth getting eaten? Are you subscribed to Visions? You should be! Want to Read One of My Stories? Visions of Other Worlds by Jessica Marcarelli is licensed under a Creative Commons Attribution-NonCommercial-NoDerivs 3.0 United States License. © Jessica Marcarelli and Visions of Other Worlds, 2013. Unauthorized use and/or duplication of this material without express permission from the author is prohibited. Copyright © 2013 Jessica Marcarelli. All rights reserved. Travel theme. Powered by Blogger.